The epic battle between good and evil continues with Deema training the warriors for her queen. 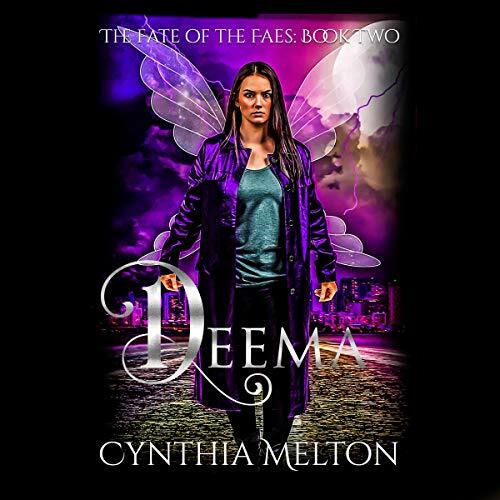 Once a follower of the dark, Deema’s responsibilities increase as she strives to prove her worth to a race of fae she’d once betrayed. Not only is her life in danger against an evil traitor’s creation of a new breed of demon, but she longs to bind herself to a human...something forbidden to an heir of the throne. Shayna becomes queen of the faerie, but refuses to lay down her sword. Once a warrior, always a warrior. She changes laws, rebuilds, and steps alongside Deema to fight an evil horde set on destroying not only the human world, but hers as well. So, this book was definitely better than the first. I really liked it. The author really felt like she has found her way with the story and her characters and it showed. I still think this series would be good for most ages. The narration is good and I stayed engaged in the story the entire time. I'd definitely be up for the next book in the series. Good story that is unusual enough to keep you interested. The narration is good as well. I haven't read the first book. Ok. I admit that I didn't realize this was book 2 in this series, so I was a bit confused in the beginning. However, it is a great listen. I don't have to know what has happened in book 1 because I have already enjoyed it. The narration is great. The storyline is compelling enough for readers like me to want to finish the book and the characters are all great. I'm loving this book.